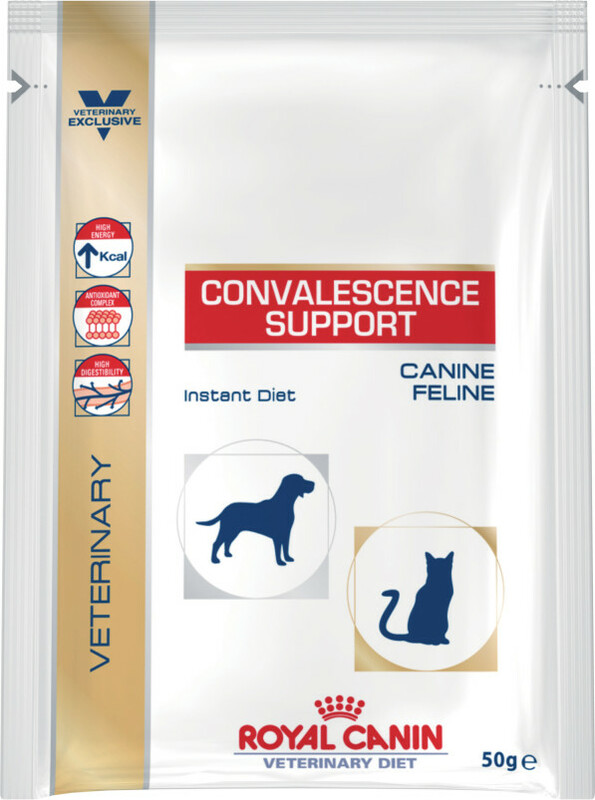 Convalescence Support (dog&cat) For dogs with Anorexia, Malnutrition, Tube feeding, Post-surgery, Convalescence. 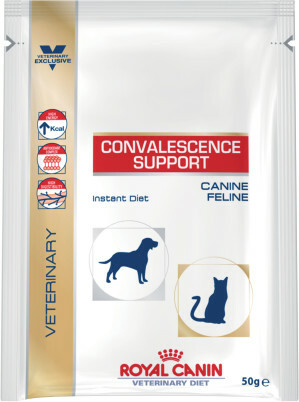 Convalescence Instant Diet has a high energy concentration. Easily dissolved in water, it becomes an energy dense and complete liquid diet which is highly palatable and highly digestible. Milk proteins, soya oil, barley malt, minerals, egg yolk powder, vegetable fibres, Fructo-Oligo-Saccharides (FOS), marigold meal (source of lutein), soya lecithine, antioxidants, vitamins. 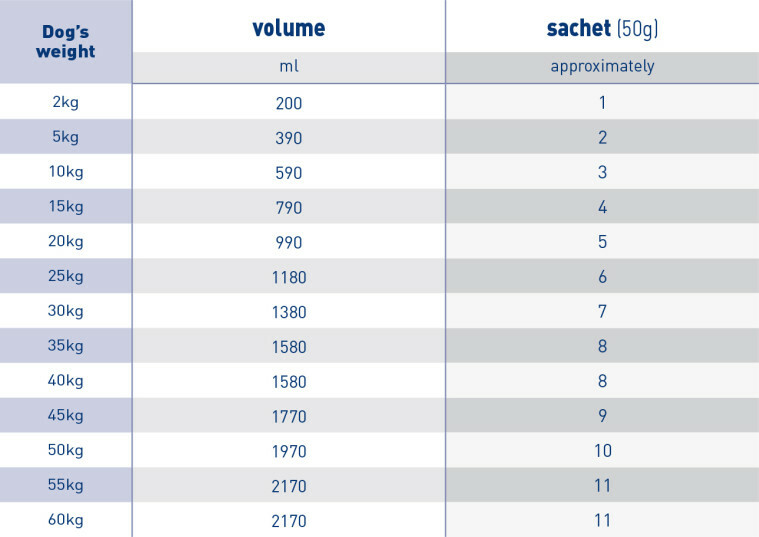 Crude ash: 7%. Crude fibre: 3%. Crude oil fats: 24%. Moisture: 4%. Protein: 42%.